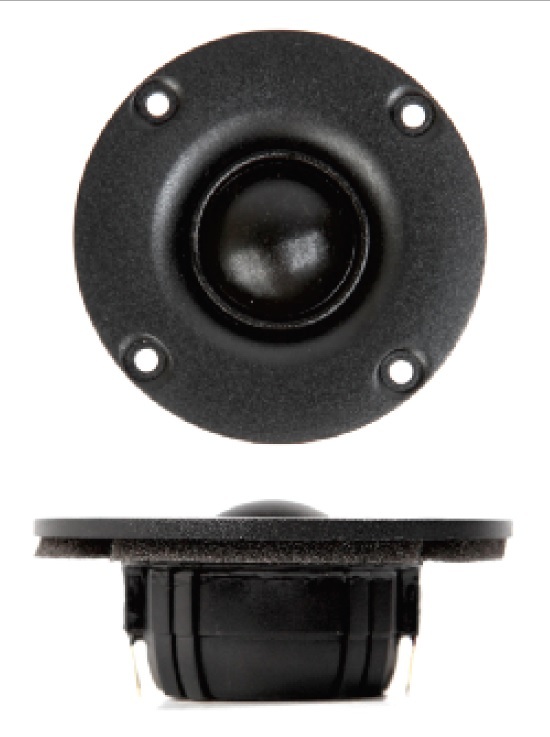 The SB Acoustics SB26STCN-C000-4 is a 4Ω coated textile dome tweeter using a Neodymium magnet and a 1” voice coil together with copper cap pole piece. The compact 72mm faceplate is made of plastic. Good consistency between the two tweeter samples. Slightly lower Fs than the manufacturer’s specification. 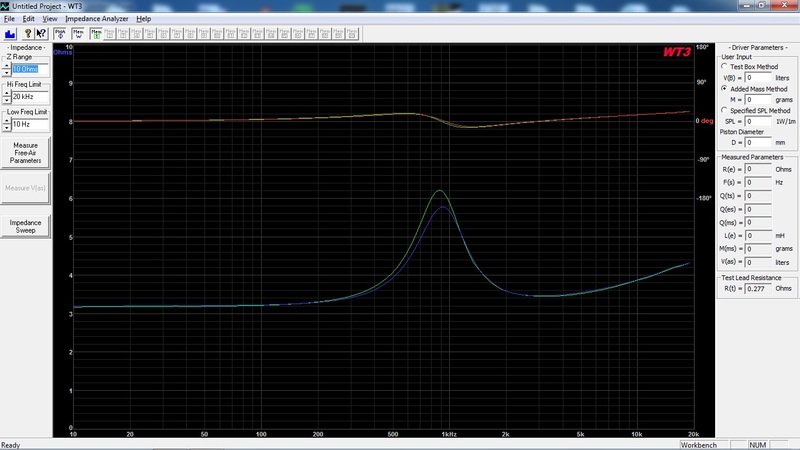 Besides the sample 1 slightly higher impedance at Fs, almost identical impedance curves between the tweeter samples. Driver position: Mounted on center-line with driver unit center 9.4cm from the top of the baffle. Left: Frequency response on-axis (Blue=sample1, Red=sample2). 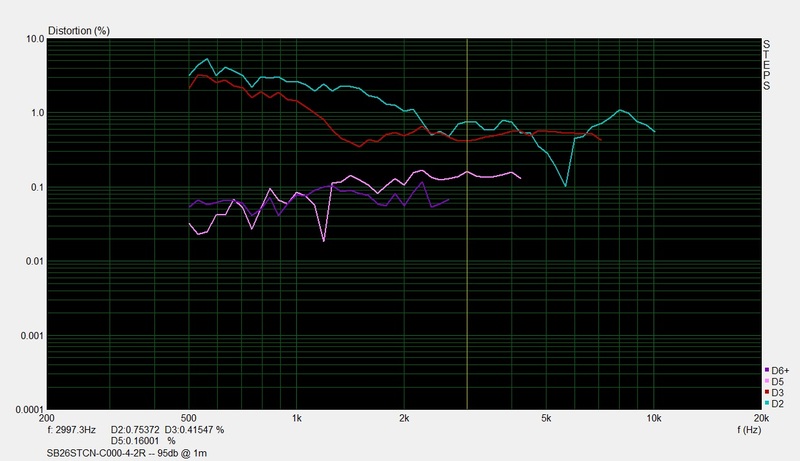 Right: Frequency response 15deg off-axis (Blue=sample1, Red=sample2). Almost identical frequency response up to about 17kHz. 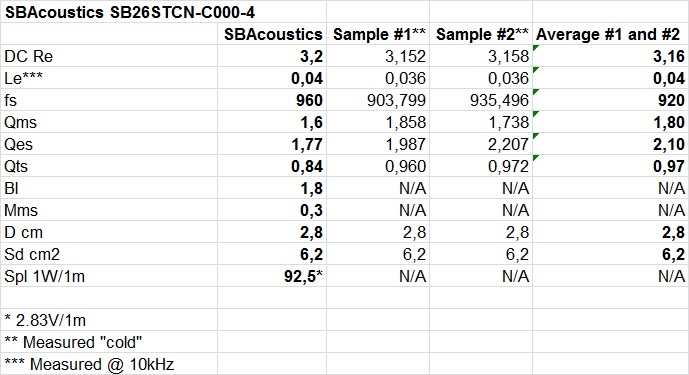 Sample 1 has a slightly higher sensitivity than sample 2. The tweeter has a very nice off-axis frequency response. The distortion measurements are done in near-field and the amplifier output level was adjusted for each driver so that the fundamental is 90dB and 95dB at 1m. This setting simulates medium-high and high listening levels. Average odd-order distortion performance even at higher levels and somewhat elevated second-order distortion, which gradually raises below 2.5kHz. This tweeter delivers a high performance in relation to its low price. This tweeter should be able to work nicely crossed-over at 2.5-3kHz or higher.